Le French Design offers you the opportunity to discover the profiles of a number of creators, some of whom have been referenced by Le French Design by VIA. The platform also allows you to directly post your calls for projects. To become a member, click here. L’Ameublement Français is the professional organisation representing those involved in furniture making and the planning of living spaces. Acting as an accelerator for its industry, L’Ameublement Français helps its members conquer national and international markets, encouraging their innovation and know-how to help them adapt to the challenges of tomorrow. 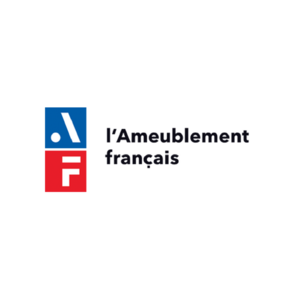 L’Ameublement Français gives them access to resources and initiates collective actions that aim to share with everyone in the value chain, from object to project. Convinced of the strength of collective action, L’Ameublement Français is a key player on the political, economic and social scenes, whose goal is to highlight French industrial excellence and ‘art de vivre’. L'IFCIC (Institute for the Financing of Cinema and Cultural Industries) is a credit institution that aims to provide easier access to financing for cultural and creative businesses. Boasting renowned expertise in these sectors, the IFCIC offers two financing solutions: bank guarantee and loans. It offers cultural businesses financial guidance and sector expertise and offers banks its guarantee, co-financing capacity and expertise in the economic models of cultural businesses. IFCIC’s action on behalf of the design and arts & crafts sectors enjoys support from organisations such as the French Ministry for Culture, the French Caisse des Dépôts et Consignations, CODIFAB, L’Ameublement Français, Ateliers d’Art de France and The European Union’s Cultural and Creative Sectors Guarantee Facility. Founded by Floriane de Saint Pierre, Eyes on Talents is a digital platform that connects the major players in the Design, Fashion, Photography, Architecture and Graphic Design industries with the ‘creatives you need to know’. A partner of a number international festivals and institutions, Eyes on Talents guides the best creative minds and hands out the annual Eyes on Talents Awards.